You will love the Unisex Long Alpaca legwarmers rainbow we produce it using alpaca, you can keep your legs warm using this confortable Leg warmers , very soft, high quality , you can enjoy the benefits of the alpaca . 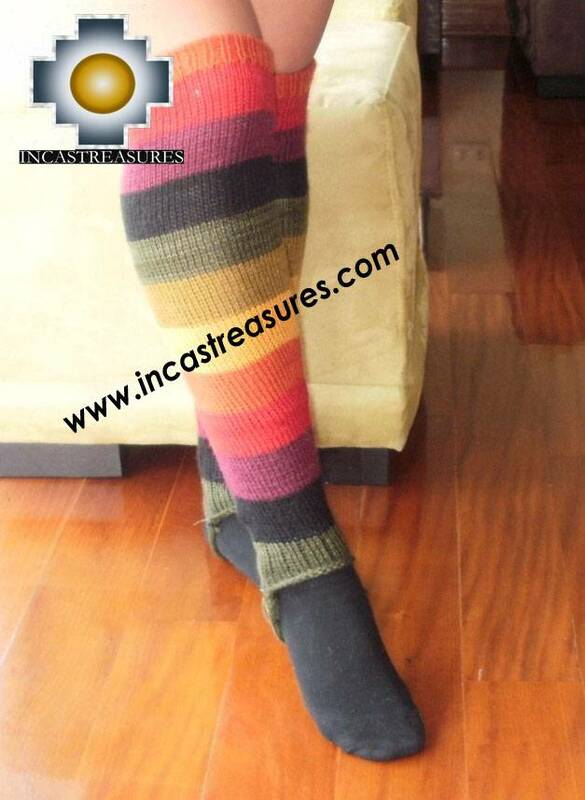 The Socks have a beautful design of the Andean traditions. We got a nice combination of colors in this pair of Socks,the alpaca is very warm, very soft, and you can get this alpaca socks at free shipping, you won't find lower prices anywhere, and also we are giving you a free gift with your Unisex Long Alpaca legwarmers rainbow. We will add a free gift with your Unisex Long Alpaca legwarmers rainbow. The most original gift , by fair trade artisans, no animals were harmed to make this alpaca Socks.